Bronte Construction was hired by the City of Hamilton to restore the Cherry Beach shoreline on Lake Ontario in spring of 2016. 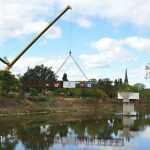 This was an elaborate project involving environmental assessments and numerous consultants, stakeholders, and ministries. 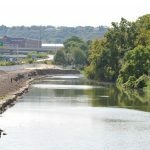 Project considerations included: bank instability and erosion, slope stability with a very steep bank, lack of vegetation, a two-layer revetment shoreline treatment, and an incorporated plan to mitigate further erosion. Remove and dispose of existing trees, soil, stone, concrete rubble, steel sheet piles, and additional debris, including discarded waste items along the shoreline. Supply and install 180 metres of armour stone revetment including geotextile and riprap. 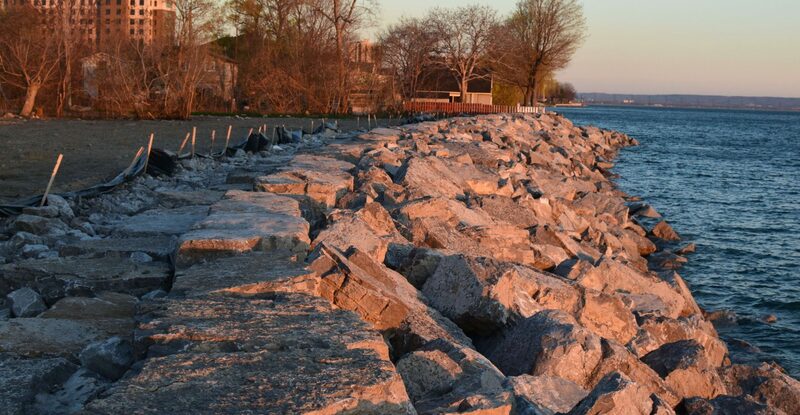 Supply and install armour stone projection along Lake Ontario, including stormwater channels and restore the site back to its original condition.